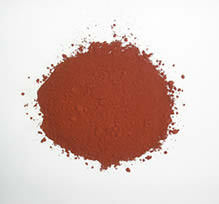 icon-arrow-right Outperforms paints containing synthetic red oxides. 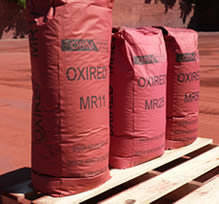 ORM 100% natural red oxide is normally packaged in 25 kilo bio-degradable paper bags, supplied on wooden pallets (44 bags maximum per pallet) and shrink-wrapped for security. 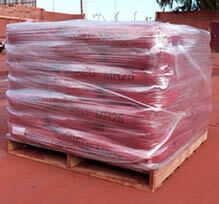 Alternatively, it can be supplied in big bags up to 1,300 kilos capacity. If you have special delivery requirements, we will be happy to discuss your needs – please contact us. We accept any size of order and our dedicated export department can usually dispatch orders within 24 hours. NB Data on this website is without obligation. The information provided on the site does not constitute a contract. 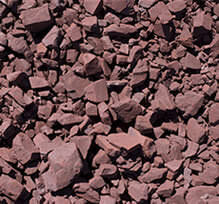 In rigorous independent 500 hour Accelerated Weathering tests, paint primers and coatings containing 100% natural red iron oxide consistently outperformed alternative products using synthetic red oxide.